Due to technological innovations, production robots will have the potential to collaborate safely in close vicinity of humans. By digitalising the process and adding a plethora of sensors, resilient and agile production flows contrast with the factory work as we know it here and abroad. This enables localised agile production, even by small and medium enterprises. 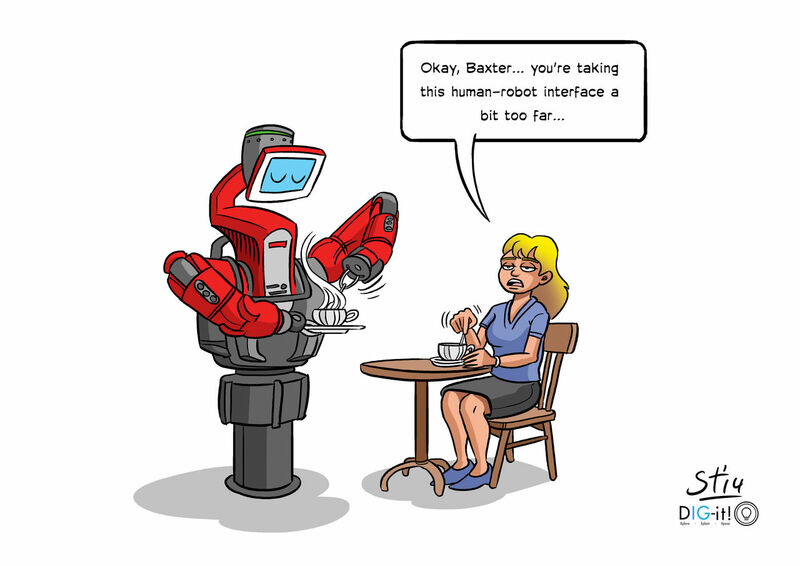 Baxter is one of the first systems that to enable this. It has two arms, workstation and a large collection of sensors. We are exploring two specific aspects of coproduction: • What qualities are required in the human-robot interface? • How can we design a workflow that enhances a resilient production? In a designerly approach, we iteratively plan experiments and interventions to yield new knowledge and tools. This is performed in the context of the Factory-in-a-day FP7 EU project. As soon as possible! We are investigating the fundamentals of an emerging field that is rapidly expanding. Industry partners are involved to bring this into practice as fast as possible.